CHINA. 2013. Burqin. 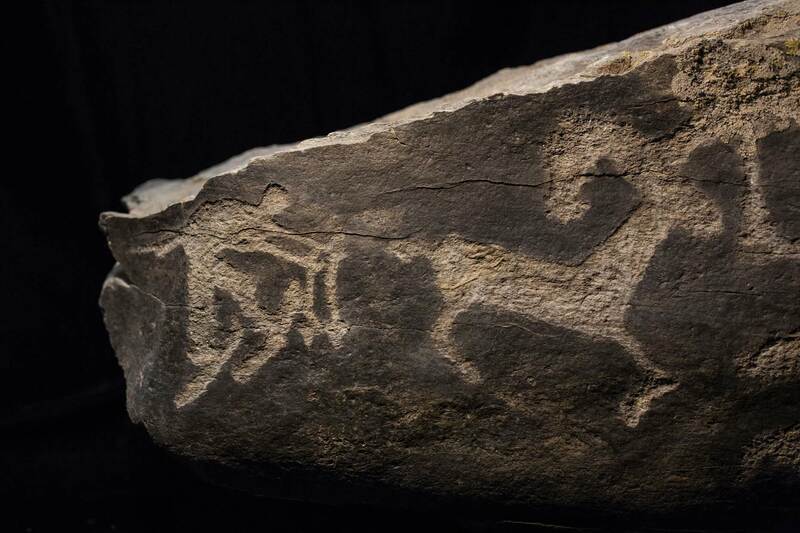 At the Burqin Museum, petroglyphs of a skier hunting a large animal. The rock came from the area around Chungkor. While the petroglyph remains undated, local historians claim it to be more than five thousand years old.